If they want this game to do good they better add the great Gill grunt master of the Gill people. So since reposes/add on's could be on the table again, who are you guys most excited for? I'm really hoping for Star Strike to get a new look! Hex, as usual. But since these are alt oufits, I'm actually most excited to see how they can pretty up Spyro. He already looks pretty darn good in a top hat, but a full outfit? edit: I just remembered, Summoners War has five elements, but uses Light and Dark. I wonder if they'll include our Light and Dark skylanders too for once? I wanna see Wildfire. Not gonna happen, but yeah. It's Eruptor, not Hot Head. We will probably get the flag ship characters along side second flagship characters and forgotten skylanders. 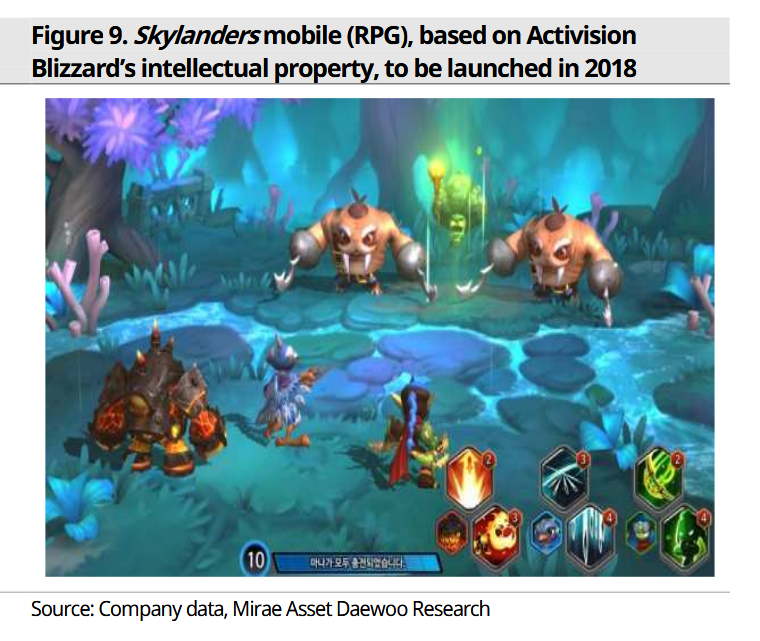 Com2uS will launch its new Skylanders mobile in the summer of 2018 through its conference call for the first quarter of 2018. In addition, global non-disclosure testing will be conducted in 2Q. 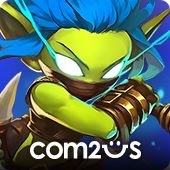 "We heard positive feedback from Activision," Com2us said. "We are aiming to launch the summer season, and we will proceed with global CBT in the second quarter as planned." 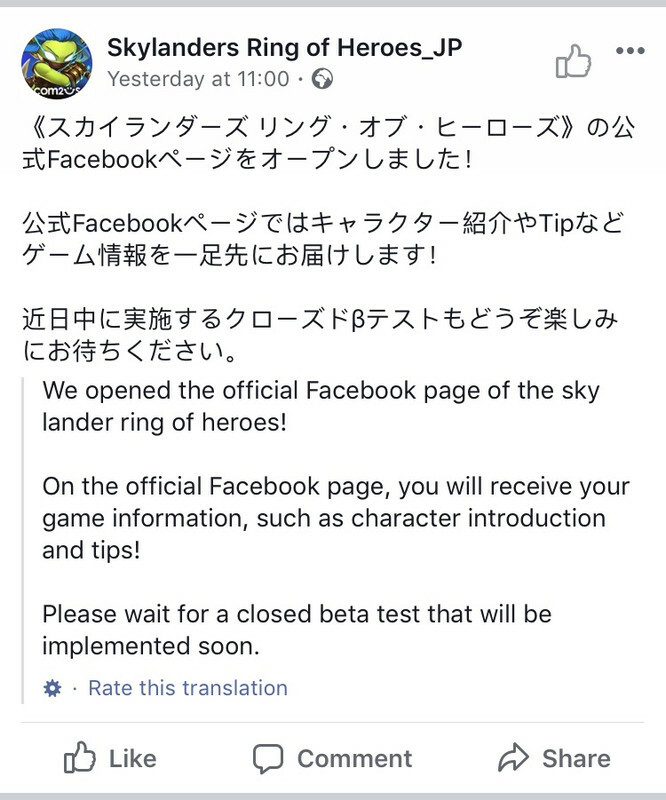 Seems like they're revealing an Awakened form a day/week from the Eruptor post in their facebook, posted in another thread. Hopefully we'll see more of the cast then. That's a VERY nice Elf. The closed beta happened already according to their press releases though. Strange. Stealth and Eruptor are looking good...I’m loving the new armour I just love it when characters have details. Here's a dumb question,can you even buy Skylanders figures off of e bay anymore? I swear I haven't seen them outside of discount copies of Skylanders Giants for Wii. Or will the characters be purchased/accessed differently? No figures on a mobile game. They discontinued the unlock codes in Superchargers anyway. How do you get the characters then? Are there only a few unlocked from the start, a few to unlock or can you unlock any of the existing Skylanders. 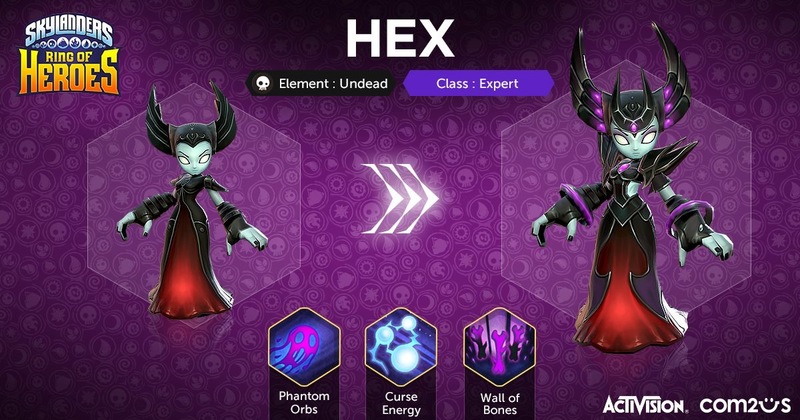 We don't really know yet, but using Summoners War as reference, you probably use some currency to randomly unlock them in your game. It's not exactly gems in there, but as usual you get very little every day unless you pay a bit. Hopefully not and you can unlock whoever directly. Ring of Heroes' forum is live but can't be acessed in the main side. Maybe that's a nice place to ask questions? There was an angry post here for a hot minute that I was replying to, it's gone now. Thinking about the SW comparisons, I do wonder how they'll actually work with getting new characters - and how many. They wouldn't get all the 100+ out on launch, unless the series was making bank. Beat me to it! Seems like her Awakened form is a combination of her SC form with Flameslinger's outfit. Plus the weird hair change. I love the 3D render of the regular stealth elf, I love all of the little details. - Can’t wait for them to reveal the third character’s awakend form since it’s going to be something that we haven’t seen before...I hope that it’s Starstrike , Spyro or a Gimmicklander since all that we have seen are cores. i like the awakened form idea, i wonder how spyro will look like. also whats the deal with stealth's hair? So far, I've heard of two new "classes"; Defensive (with ) and Expert (with ). Hopefully, we figure out what these types of classes represent. Also, he got wings back, even if it's not the same magical type. 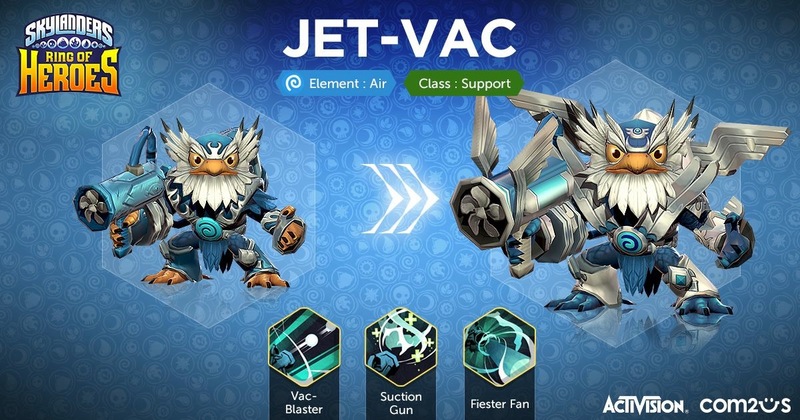 You know, if this game is actually the last one for a while, I kinda hope the Awakened Forms are explained as the Skylanders changing outfits as a significant change in goals. They're finally over their backstory issues and have stopped joking around with hero work. 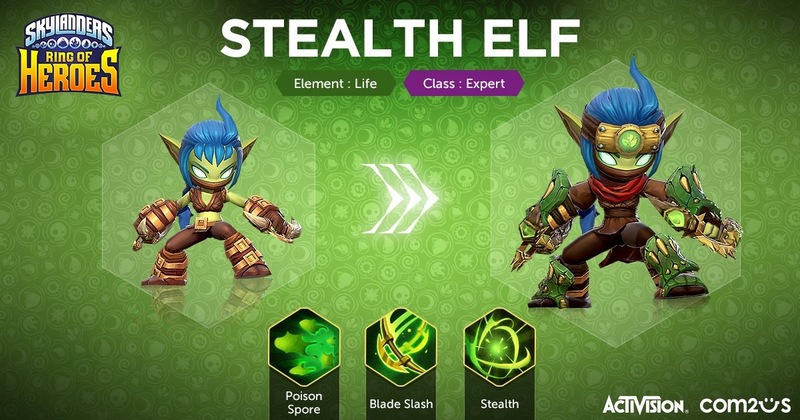 Stealth Elf looks the best to me rn. Also mark my words, Pop Fizz is next. The render quality is pretty amazing, yeah, hopefully they'll look as good ingame. I think that the metal wings on his vac-gun aren’t really necessary and his Superchargers wings look so much better than his awaken form. The Vac is Back...as a Support Type. so what classes do you think there will be? so far we know that there will be defence, expart and support. i think that there will probably be an attacker class or somethings like that. 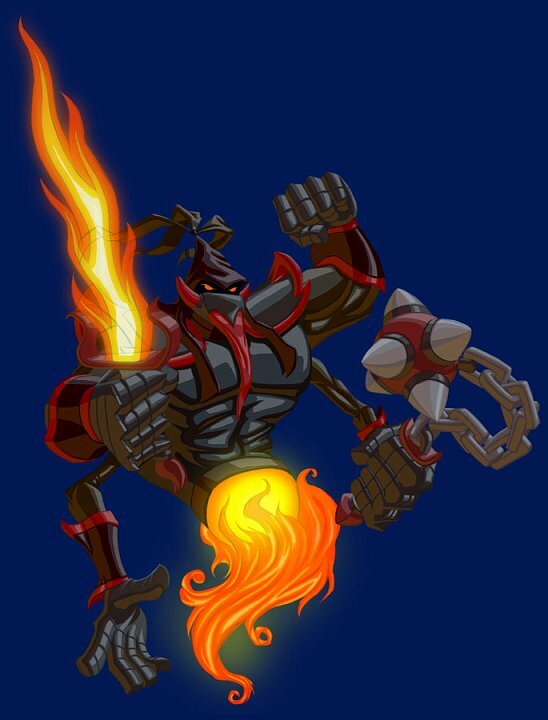 also i had a crazy thogut, what do you think are the odds that we will see new skylanders in this game? (cry tears of joy) what? There is no shame in crying infront of beuty.